Speechless…that’s how these two left me at the end of their session. And those red shoes…DANG! These two have some killer style! Hannah and Obi were down for all of my crazy ideas and I can’t thank them enough for trusting in me. A lot of times couples will give me a funny look when I suggest certain ideas, but they never once gave me one of those looks haha. They were willing to lay in the middle of a rain covered basketball court, pose in the middle of a busy road, climb four sets of stairs, and let loose and be themselves. 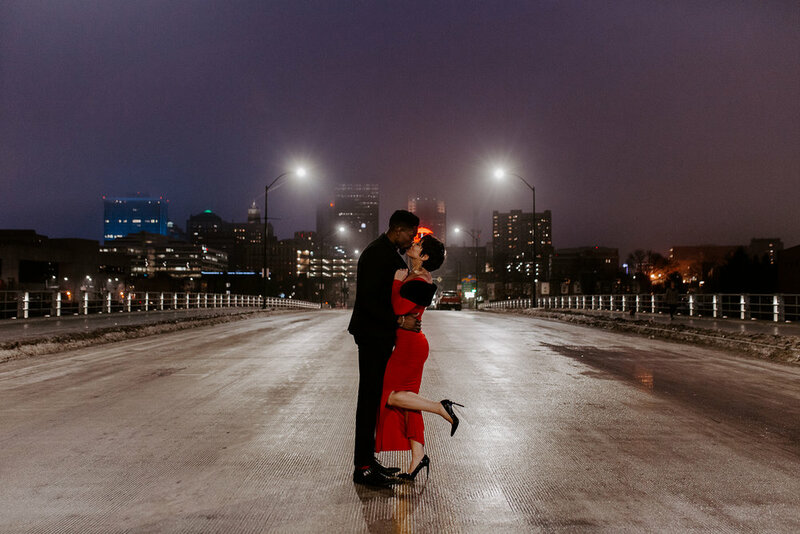 They requested an urban type of vibe to their session and I think we nailed that look.